Even with the failure rates of CRM initiatives, some as high as a 63% failure rate according to Merkle Group Inc., CRM solutions are still considered to be the most valuable growth management tool of the last decade. A Bain & Company’s Management Tools 2001 survey found that 72% of respondents expected to have CRM programs in place by the end of that year—more than twice that of the previous year, indicating that leaders and business owners have been open to embracing this technology for quite some time now. Embracing the idea and delivering the technology are two completely different things. 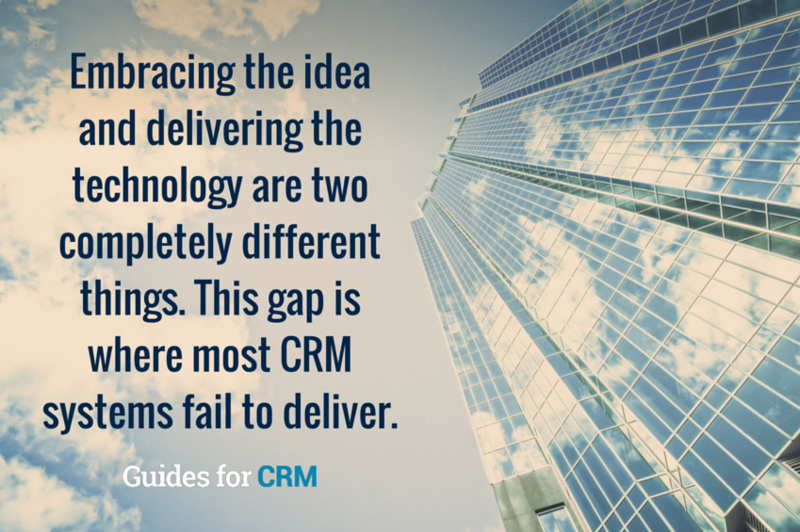 This gap is where most CRM systems fail to deliver. There are CRM case studies that show how proper implementation and system use can lead to significant improvements in business processes rather than a business’ CRM solution failing due to unrealistic expectations. TidalWire overcame the biggest barrier to CRM success, which was cultural resistance to change. Company culture and a resistance to change can be an obstacle when looking to introduce a new CRM tool. TidalWire overcame this by involving end users early on during the CRM implementation process. When TidalWire chose to adopt a CRM tool for its sales staff, they had a plan in place to ensure success. Through careful planning, determining metrics and setting benchmarks, they were able to decide on Siebel Sales and eSales for their sales staff. What makes their story a success is their deliberate plan to involve targeted CRM users (sales staff) at the early onset of the project implementation. Assigning project champions who rally behind the tool, showing users how it works and what they will gain for their efforts, contributed to breaking down their highest barrier to CRM implementation: the cultural resistance to change.To help end users gradually shift and embrace the new tool, incremental project roll outs and continuous training were in place from the start. The end users and employees who will actually use the system are key stakeholders that are commonly left out of the decision process. When it comes to getting support for a new software, involving end-users early on is vital to increasing the chances of the new tool’s success. PwC’s Strategy& leveraged technology in deciding on a CRM solution. PwC’s Strategy& is the oldest existing management consultancy in the world. Having 57 offices around the world, along with more than 3,000 staff, it was clear that they needed a CRM solution that could support their global workforce and track various local clients as well as sales associates. The company leveraged their technology by choosing a cloud CRM solution that worked seamlessly with Outlook. With this smart implementation, they were able to share contacts with their global workforce real time while still safeguarding their privacy. The decision to utilize a cloud-based system enabled PwC to share client information easily with their global email contacts. This step took their end users into account, improving global collaboration amongst employees through an updated client database. Boise Office Solutions created a customer-focused culture first, before implementing a CRM system. Boise Office Solutions didn’t spend $25 million implementing a CRM system just to strengthen their internal operations. They wanted to provide their customers with greater economic value and needed to invest in technology that could help them achieve that goal. To address their customers’ needs most of this technology turned out to be through CRM tools. Through customer touchpoint mapping, they were able to develop IT strategies targeted to their specific customer needs. Their end goal was to provide the best service to their clientele. Boise never focused on what the CRM tool could do for them but rather how the CRM tool could provide value to their customers. By taking them into consideration, they optimized their CRM software and helped their business’ sales and longevity. Through careful planning, these three case studies highlight how successful a CRM software integration can be in any organization. The TidalWire case shows a key takeaway, involving the right users in the implementation process. The goal of CRM adoption should not be to improve business processes alone but to also provide added value to your business’ customers. Next: Does My Business Need a CRM Software?